Eden Hazard says he will not move to Real Madrid in January, but agrees he might need to leave Chelsea to win the Ballon d'Or Award. The 27‑year‑old attacker said earlier this month that joining Real had been his dream since he was a kid. 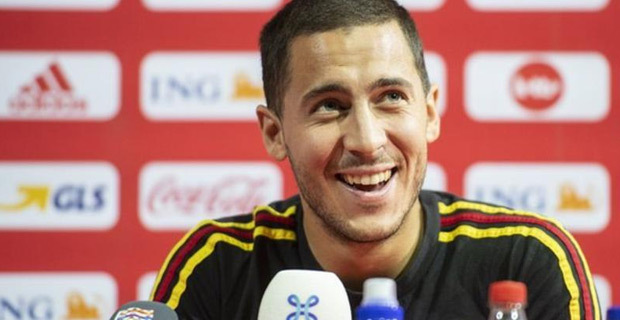 Asked if he needed to play in Spain to win the game's top individual awards, Hazard smilingly replied that maybe why he want to go. The Belgian denied he would move in the January transfer window, however Hazard's contract at Stamford Bridge expires in June 2020 and reports in Spain claim Real Madrid are hopeful that Chelsea may sell at the end of this season for £70m rather than risk losing their star player a year later. Chelsea will take on Manchester United at 11pm Saturday the 20th of this month in the English Premier League.